We start with beautiful Queen Ann hazelnuts and carefully roast them to perfection. They are left to cool overnight. Then we load them in a chocolate pan, adding drizzles of chocolate as the drum turns until each nut is coated with a thick layer of chocolate. This takes about 1-1/2 hours and requires exacting work. Once the chocolate layer is ready, we load the entire batch into a ribbed finishing pan for another 1/2 hour until it gets its glossy finish. 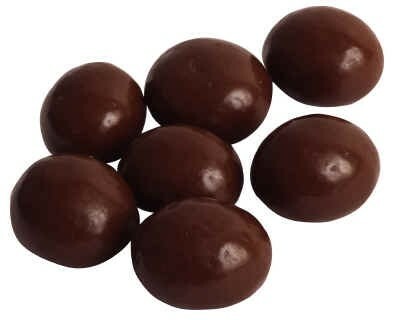 We end up with a spectacular product - chocolate covered Queen Ann hazelnuts!